The end trimming saw is made in Italy in well known company OMGA. 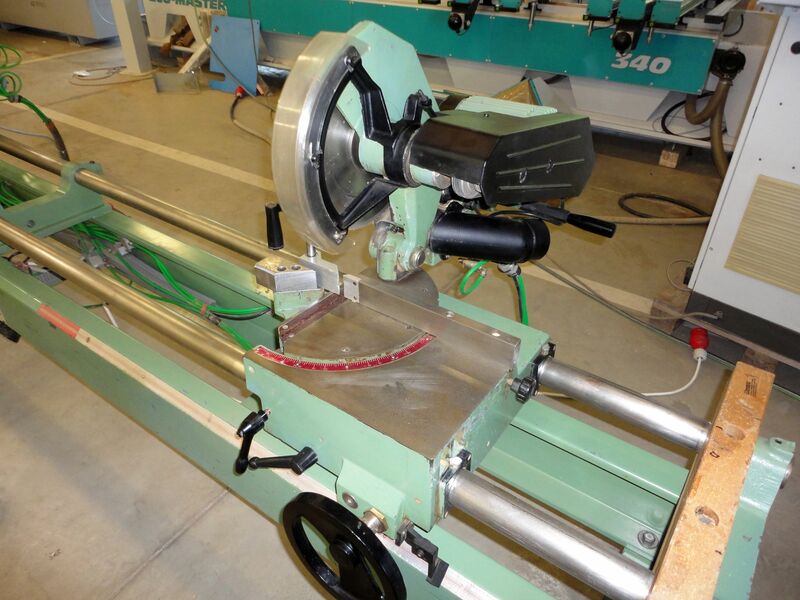 This saw is designed for cross or angle cutting of the both ends ot the beams, prisms, laths, strips…. 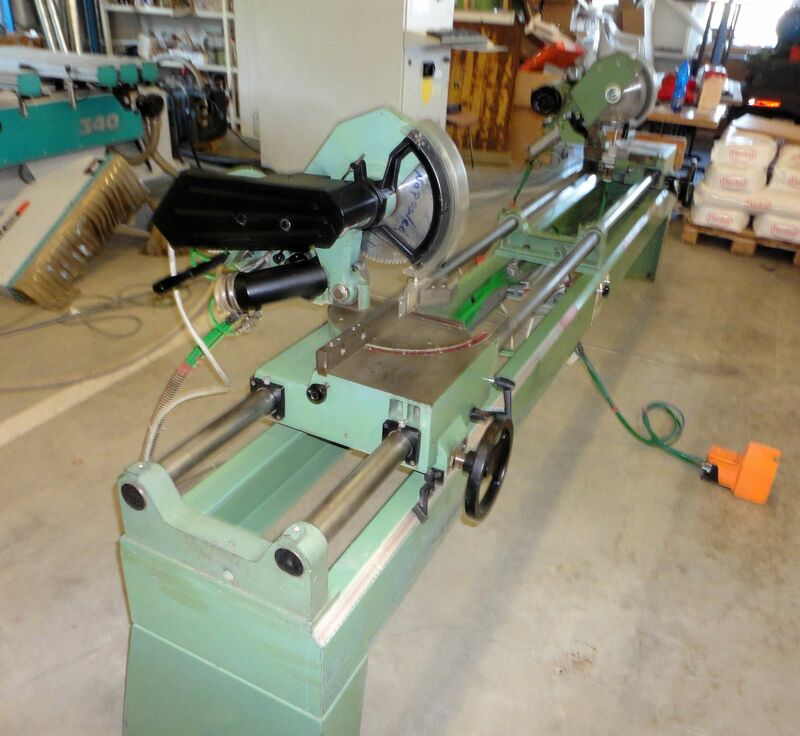 The saw is equiped with the pneumatical fixing of the material. Both saw unit are activated into the cut together by pressing the pedal.